Republican Rep. Mark Meadows of North Carolina, one of the White House’s top congressional allies, said President Trump will find a way to fund the construction of a wall along the U.S.-Mexico border with or without Congress. “This president is going to build a wall one way or another,” Meadows said on “Face the Nation” Sunday. 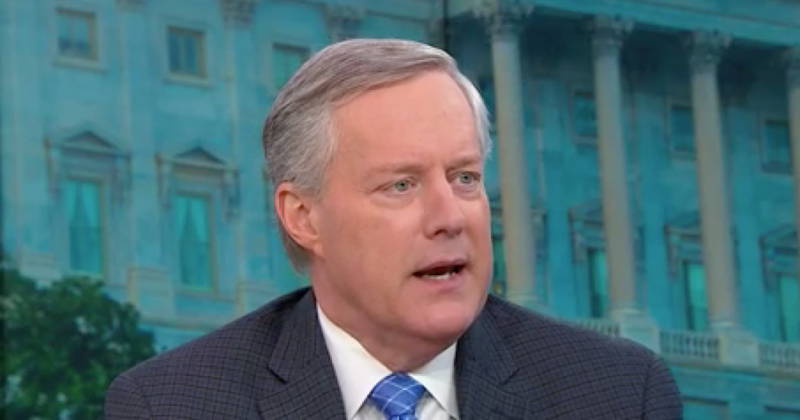 Meadows, chairman of the conservative House Freedom Caucus, said he expects Mr. Trump to take “executive action” — possibly by declaring a national emergency — to secure the border if congressional negotiators fail to broker an agreement on border security and avert another government shutdown. Last month, the president backed off his rigid stance on border wall funding and signed a measure to fund the government for three weeks. The agreement ended a 35-day standoff in budget negotiations between the White House and congressional leaders and brought a temporary reprieve to approximately 800,000 workers across nine federal departments who had been furloughed or working without pay. But part of the government could close again if lawmakers do not reach a broader budget agreement before the stopgap spending bill expires Friday. A bipartisan group of House and Senate negotiators, largely made up of appropriators with experience on committees with oversight of Department of Homeland Security (DHS), has been working to hammer out longer-term funding legislation for DHS and to bolster border security. Although he was an outspoken critic of President Obama’s executive actions and has sought to curtail the powers of the executive branch during his tenure in Congress, Meadows said he would support Mr. Trump if he decides to bypass Congress and act unilaterally to address the “crisis” near the southwestern border. Meadows said his party and the White House are willing to back a budget deal that includes less than $5.7 billion in funding to build border barriers, but accused Democrats of stalling negotiations by advocating for “open borders policy.” He pointed to Democrats’ reluctance to support an increase in the number of migrant detention beds. “Cutting down on the number of beds which would actually force them being released into the United States — and so it’s more of an open borders policy that some Democrats have supported in the past,” he said. Later Sunday, Mr. Trump said budget negotiations between Democratic and Republican conferees were being derailed by Democratic leadership. “I don’t think the Dems on the Border Committee are being allowed by their leaders to make a deal,” the president tweeted. Echoing remarks by acting chief of staff Mick Mulvaney on Sunday talk shows, Meadows said he could not rule out the possibility that the government could close again this week.